100 New Zealand cops tested out the Apple iPhone against an Android handset and a BlackBerry model for 11 months. 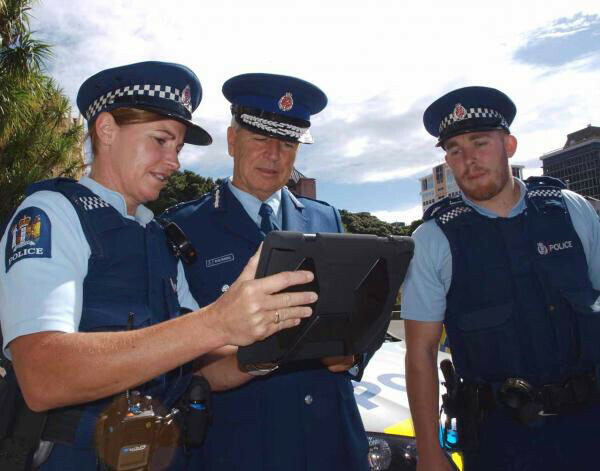 Now that the testing process is all over, New Zealand Prime Minister John Key and Police Minister Anne Tolley announced on Wednesday that 10,000 iOS devices will be ordered by the New Zealand police. 6,000 frontline officers will receive an Apple iPhone while 3,900 of them will also receive an Apple iPad. The move comes as the police shift carriers from Telecom to Vodafone. The purchase will cost $4.3 million NZ ($3.75 million USD) over a three month period. Over ten years, the program will cost $159 million NZ ($134.7 million USD), but will be worth it as productivity is expected to benefit by $305 million NZ ($258.5 million USD) over the ten years. The news comes a few days after Australia's Treasury Department decided to replace the current BlackBerry models used with iOS devices. That move comes despite problems with Apple Maps that made Australian police and firefighters publicly renounce the app as being life-threatening and dangerous. Yes they do. I think the New Zealand police force made a solid choice in the iPhone. Android, wp8, and BB10 would've been good as well, but Hey they chose apple...not bad at all. is that a product? 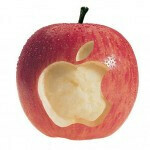 apple rocks? Pretty sure its due to corruption.....otherwise they buy much much cheaper Nexus 7 with pc connection, free file copy etc.....enough for service to people! they should have invested to more rugged devices. They better not get caught playing games on those iPads on duty. Australia and New Zealand are two different countries bro. Also these are policeman, while the previous article was talking about fire services. Wendy go back, and re read those two articles...please. Agree. A plaything for work? Man shut up! All you ever talk about is this propaganda crap. If they chose apple they chose apple. Who cares, other than you? The New Zealand police force knows what they're doing, while you sit at home on the couch and whine babble, and moan. Apple is their supplier and you can't do a darn thing about... BIG BABY!!! They could have considered a 920. It could have doubled as a weapon/shield. New Zealand together with USA ,Australia, Canada ,UK and Japan are all stupid because they don't like android. They are also some of the most technologically advanced countries but that's another story. Anyway it seems like if you like ios you are stupid nowadays, maybe new Zealand's police should ask the guys over here on what should they buy. That was the most STUPID comment I've ever heard. I hope they will not use the Apple Maps, then they will be next to announce Maps Dangerous, Maps not Healthy, Maps No No. And Australia considers Apple maps dangerous. Bribes can work wonders and nothing is easier than Bribing politicians. I have an Samsung galaxy s3 and iPhone 5 I love them both but the iPhone is lag free and never freeze up on me so I can say that the iPhone's iOS is better/stable than the Android.I think this is the reason wherefore the police has made this choice.It's my opinion :) . I have the iPhone 5 and note 2, and I agree with u 100%. There's also two apps on my note 2 that force close a lot, score center and flipboard.